For decades, satellites have been collecting data about our planet. Yet complex global systems like agriculture, deforestation, water cycles, and many others, affect billions but are still poorly understood. Not only are these systems critical to understand for the good of humanity, they’re also important for businesses as they adapt to — and attempt to thrive in — an ever-changing environment. With the price of satellites dropping from over a billion dollars to tens of thousands, new constellations with new sensor characteristics are coming online, producing ever more data. Combining multiple sources provides a far richer view than that of any single constellation. For organizations that want to harness this power and enable computation at global scale, it’s necessary to have a data refinery that combines data from multiple sources, cleans it up and makes it ready for science. 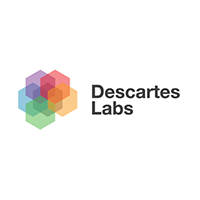 That’s exactly what we’ve built at Descartes Labs.